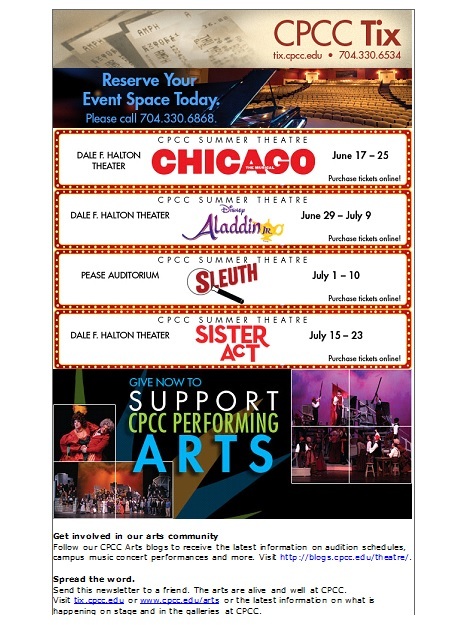 Check out the review of CPCC Summer Theatre 2016’s production of Chicago in this week’s Creative Loafing! 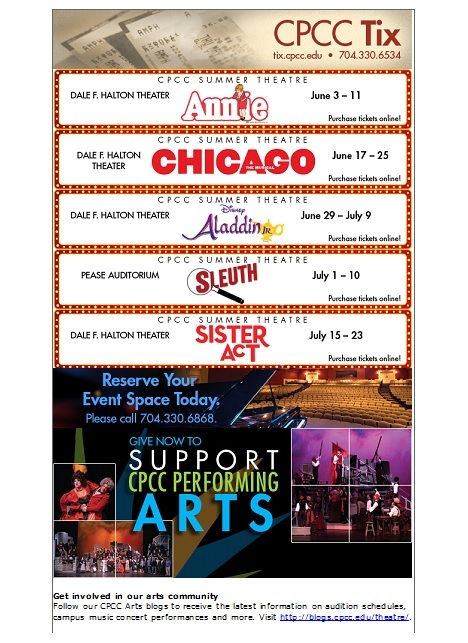 CPCC Summer Theatre 2016 opens Chicago #cpccchicago June 17th. Get your tickets at the window at show time, online 24/7 at CPCC Tix tix.cpcc.edu or call the SunTrust Box office 704-330-6534 . 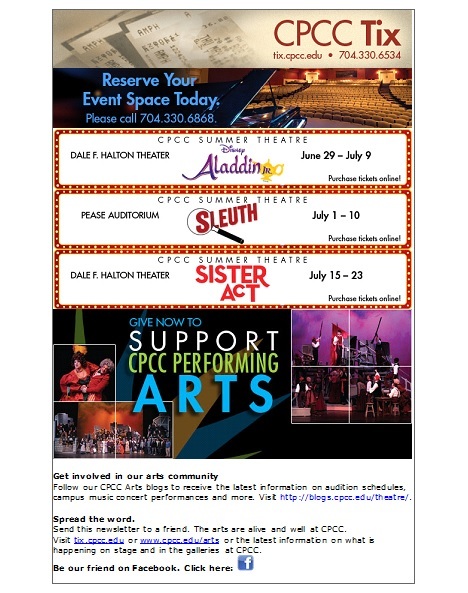 CPCC Summer Theatre will hold auditions for performers 13 and under on February 22 & 23 at 7:00pm in the lobby of the Halton Theater. Roles are available in Annie and Disney’s Aladdin, Jr.
Annie will start rehearsal on April 18th in the evenings Sunday – Thursday until opening. Aladdin Jr. rehearses daytimes 9:30a to 4:30p Monday – Saturday starting June 13th until opening. We are looking for actors to appear in either or both shows. You must be available for day time rehearsal to work in Disney’s Aladdin, Jr. Annie rehearses on Sunday afternoons and Monday – Thursday evenings.